Exquisite home on a cul-de-sac lot with privacy fence! Gourmet kitchen with Quartzite countertops, custom cabinets with soft close, bricklaid tile backsplash, center island with raised breakfast bar, stainless steel appliances, including a Wolf 5 burner cooktop & SubZero beverage refrigerator, stainless steel farm sink, and LED recessed lighting! Master bedroom with hardwoods, cove crown molding, and ceiling fan! The master bathroom has a marble style floor, dual vanity with granite, freestanding tub, separate tile surround shower with bench and his/her walk-in closets! The gorgeous family room has a wood burning fireplace with marble surround and custom mantle, designer chandelier, and doors to the rear covered porch. 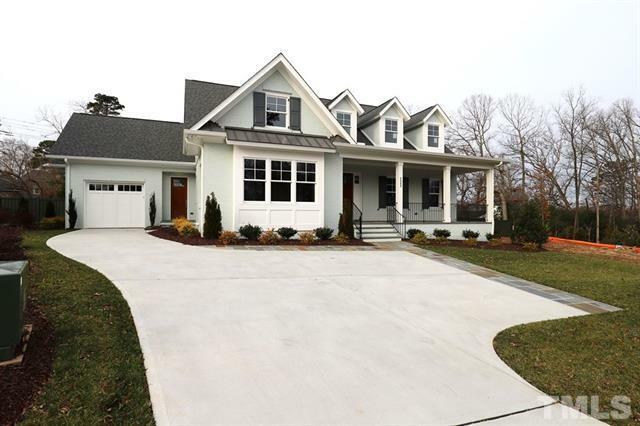 Hunter Williams will be hosting open houses on Saturday and Sunday, February 9-10, 1-3 pm. Directions to 2905 Montpelier Court, Raleigh NC 27609 can be found on Google Maps. More pictures and information on 2905 Montpelier Court, Raleigh NC 27609 can be found on the MLS sheet. Contact us at info@luxurymovers.com to schedule a private tour or request additional information, or visit the open houses on Saturday and Sunday, February 9-10, 1-3 p.m.